Yesterday we ran an article on the changes to the Lloyds Duo Avios credit cards which were sent to cardholders on Monday. I said that I expected letters to follow to holders of the Lloyds Avios Rewards cards shortly. I now have details of what will happen. This is going to be a very slow process. Letters will be staggered between now and April 2019. It isn’t clear if this is due to Lloyds looking to avoid a squeeze on their infrastructure or if they are hoping to tie it in with your annual renewal date. The Lloyds call centre is telling some people that there is a final cut off of 2nd February for spend to count towards your upgrade voucher, irrespective of your year end. This is NOT confirmed in writing yet so treat it as rumour. ….. plus the extra 25% bonus for Club Lloyds current account holders. One thing I don’t know is whether this new Lloyds Avios Rewards Mastercard will be reopened to new cardholders or whether it will remain exclusively for ex-Amex cardholders. Lloyds Bank has set up a special website on the changes and you can find more details here. With everyone getting 60 days notice and the letters being staggered over almost a year, there is no need to rush out and get a 0% foreign exchange fees card or get a replacement Avios-earning Amex. I would wait until you get your letter and then make a move. Lloyds staffer told me there will be retention offers for the most profitable customers. are profitable customers mainly those that don’t pay off their balance in full each month ? All the talk at the last card conference I attended was about capping rewards for high spenders, so for eg you’d get 0.4 Avios per £1 up to £50k per year and then 0.2 Avios thereafter. Whilst this makes perfect sense from the card company point of view when there is an annual fee – because the fee subsidises the Avios – the view is that customers won’t accept it. 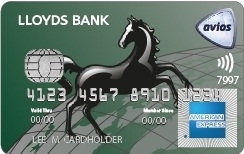 So the new Lloyds card is even worse in terms of rounding. BTW anyone knows what would happened to the Lloyds Choice Rewards cards? It remains to be seen whether they really are rounding it per transaction or per statement. This may just be marketing speak and, in reality, they are going to do it off your monthly balance. Spoke to their customer services and they confirmed that the first gen cards will be swapping over to the debit later this year. All non debit cards will be replaced in the coming months. Old cards will continue to work up to when the new cards are activated. I remember it being stated here that 50k was MC imposed annual limit but can I ask if anyone has a daily limit more than 3750 on the debit version? Just wondering if there is any point asking for an increase and how much I could reasonably ask for… thanks. 50k per year is MC imposed, yes. I have £5k daily but same £50k annual. Those are not news. Curve been sending emails to each holder of the old gen card. Are people still missing Curve transactions – we paid for 3 items totalling £300 via hubby’s Curve /IHG – showing in app but not showing on IHG from 26/7. All transactions on my IHG have tracked ok.
Just do not use Curve for pre-authorisations. They got much better at refunding but still cannot separate at the outset the charge from pre-authorisation. If you show Curve card at hotel reception — all chances are that crazy pre-auth amount will be first actually billed to your underlying card, then refunded “within 7 days”. This is nothing to do with hotel pre-authorisations – it’s 3 purchases that have not appeared on IHG card. Normally they show up as pending immediately. Not complaining if the charges don’t go through but I need the pts for qualifying for Spire. Yeah, the funny thing that pre-auth which you don’t want to appear, will appear as pending, go through to post on the statement, and then might/might not get refunded. Curve systems became better at doing refunds but the pre-auth will still be charged. Hmm. What to do? My new (third) year should start later this month. I’ve used the previous two vouchers to fly business class to India and Japan, so would be keen to get a third. If I have until February, as the rumours suggest, I’d be fine. But what if the letter drops in, say, October? Also, there is no obvious replacement for the solo traveller is there? I really don’t need a companion voucher. Upgrade voucher on the virgin Atlantic credit card? Only other option there for the solo traveller.. I can’t help but wonder is this the end of the BA Amex? I can’t see how BA will be able to actively promote two credit cards. You’re making several speculative jumps, none of which might be true. In the absence of more evidence: wait for more evidence. It is totally normal in the US to work with multiple card groups. There will be 2 Marriott cards – SPG Amex and Creation Mastercard – from the end of August. That said, it makes sense for BA to dump Amex given the fee cap. –There will be 2 Marriott cards – SPG Amex and Creation Mastercard – from the end of August. But not because Marriott wanted it that way, Rob. SPG AMEX in the US now earns 2/3 of the old Starpoint (x2 Marriott points per 1$ on general purchases), and there is no signup bonus in points. I saw a comment about gifting the voucher (the card holder doesn’t fly) is this a thing or have I dreamt it? What if I pay my MasterCard bill using my Curve card which is linked to that same MasterCard. If you want to have blocked, because this will be direct abuse of terms, difficult to ignore for Curve. Having read the curve t&c’s a number of times I don’t see this. Could you point out specifically where this is mentioned? I have for some time now paid my Amex bill with Curve linked to IHG, then changed the linked card to MBNA & payed the IHG bill, all with no problems. I requested a limit increase & Curve didn’t even bat an eyelid. All this “first rule of fight club” nonsense is getting boring. This is supposed to be a sharing site, so all those “I know something hush hush” & don’t want to share should move along elsewhere. OP asked about using a card to pay itself which is different from what you describe. Yours is a better way. Indeed, but my point was there is nothing in the t&c’s forbidding the practice. Those that insist there are are those “elitists” that want to keep all the glitches to their own little circle. Thanks, will cover over the weekend. Struggling to find your article on using this upgrade voucher. Does the availability need to be in the lower or upper cabin? Upper. It is NOT an upgrade voucher in reality. It is a voucher which lets you book a redemption in WTP or CW (or CE) for the Avios of the next cheapest cabin. No need for their to be any availability in the ‘lower’ cabin. I have the Lloyds Rewards Avios cards and I have received that bonus on balance transfers for many months now. It is not a great return but since they do it at a 0% fee I transfer all my balances to the Lloyds card each month and pay it off the next day in full (to avoid the interest) by direct bank transfer. Has anyone received their letters from Lloyds regarding the closure of the Rewards Avios cards yet? Going out over 45 weeks! Ok, I’m in need of some help. I’m a bit confused at which cards to get for getting my Avios, I’m a solo traveller. I only get avios by using my lloyds AE card and converting Tescos points.